It is a pleasure and delight that furniture and objects from our collection 2015 find their ideal place at the Estate Diachronos of the Archipelago. Designed by Chi Wing Lo for a prominent writer, this annex is permeated with a rare quietude, a quietude that is almost unattainable in the contemporary mode of living. Here, it is a realm, a state of existence, only reachable when pace has cast off its compulsion to haste. …If there is indeed a life in every furniture, a breath in every object, that are mindful to one another, respectful of their proximity and distance, having the gentility to be with and the discreetness to be without, these that have populated the interior here are as though they are generous hosts, honorable guests and attentive maidens all at the same time. ACS: Your newly released designs for Kanjian Creation are exquisite combination of contemporary sensibility & traditional crafts. What do you expect the public to see from them? ACS: Just like what you have designed for Kanjian, you often use round/ circular/ curved geometric forms. Is that the secret of extra soothing softness hidden in your collections? 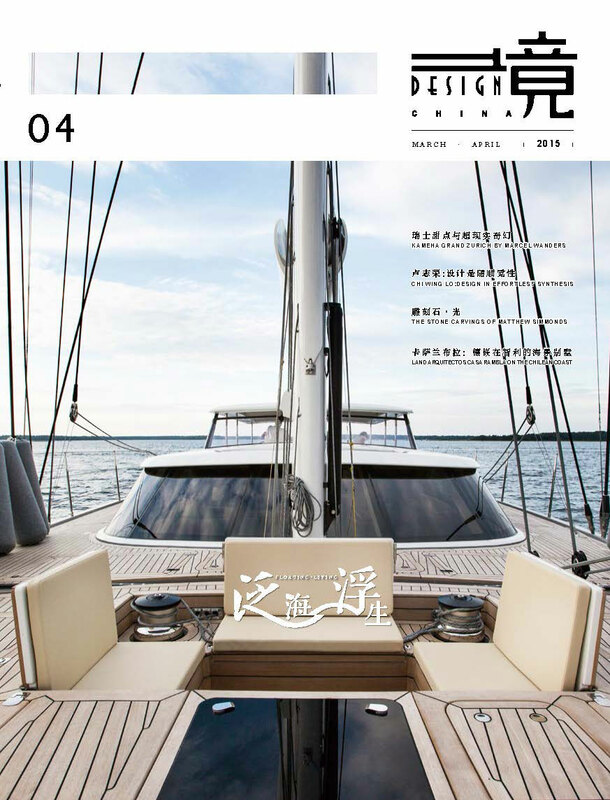 CWL: When it comes to design, I do not have much secret, nor anything to hide. Every detail, everywhere when there is a connection of different materials, every geometry and how each is engaged to the next, every texture and how it is caught in light, every colour and how little it takes, every dimension and how it stands in space… whether they are rounded or rectangular, soft or hard, in all my sculpture, architecture, furniture and objects, they must be restraining and silent. ACS: You are thought to be a perfectionist, seeking perfection in every detail of every piece. How do you think of ‘avoiding excess of perfectionism’? CWL: I am the least of being a perfectionist. I have compromised a lot, just my works do not show nor not many could see. I have unresolved details but I chose a more manageable one. I have pain to achieve a straight line but I anticipate such strenuous undertaking early enough… To be frank, there is nothing perfect in this world, and I have accepted that since I first touched wood. In the process of realization, I do not insist but I do not give up. I am, in every moment, searching for the beauty of imperfection. ACS: Timelessness in design is elusive. That’s why ‘fast fashion’ is followed. How can you obtain the inspirational power that surpasses the fickleness? CWL: I might have been chasing shadow within the very short span of my existence. One thing for sure is that even my works could survive the cruelty of time, I will not be the one to see them. What I could see though are those few works that have left behind somewhat accidentally by predecessors, that they are always new, and belonging to the past, present and future at the same time, such things as a wheel, the Pyramid, a courtyard, a dovetail joint, a white shirt, a pair of chopsticks… just a few of them to remind how little we have explored timelessness! ACS: It is said that timelessness is sparkling stars, while fashion is a flashing meteor. Is there a moment when you’d choose the transient brilliance of a meteor for a change? CWL: I will not be the one to have such privilege to choose. The moment a work of mine leaves me, it does not and should not belong to me anymore. I have given it the “life” and equipped it with purpose, it will encounter its fate and if it will be a sparkling star, so it deserves. If it fades away after a transient brightness, I will be hoping that time will once again come to its rescue, even if it will be far far away in the future. Strange, I always have the feeling that the more one asks a work to be accepted by the market, the more likely such work will not be accepted. How often a design is defeated in five minutes, before it even has the chance to react, by the market it is hoped to conquer. That might have been why I have been urging serious designers not to design for a market trend. 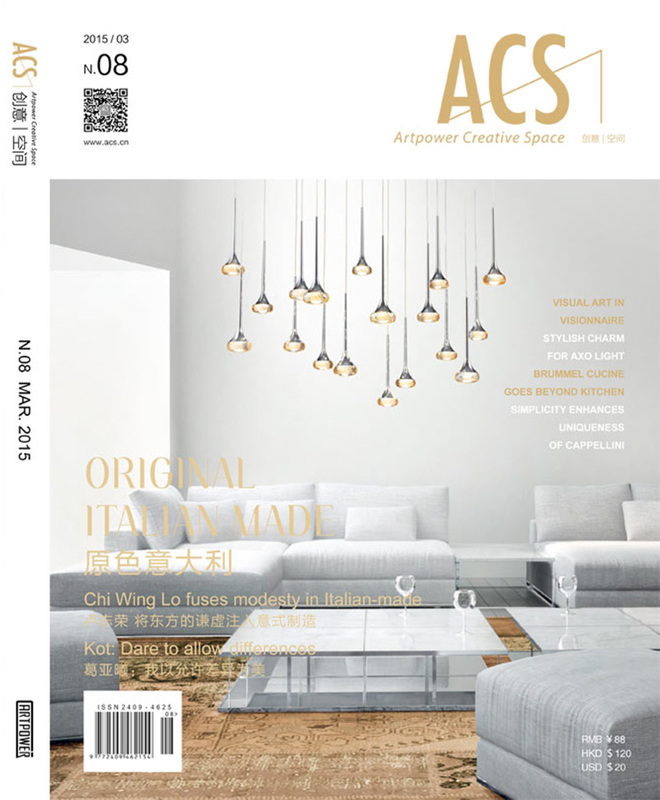 ACS: You have built your own furniture brand DIMENSIONE CHI WING LO in Italy. What is the uniqueness of your furnishing items that distinguishes themselves from the Italian giant brands? CWL: North Italy, particularly in the region of Brianza, is like one big furniture workshop, many brands, big and small, are sharing the same craftsmen and artisan workshops to realize their design. We all are having the same level of advancement in craftsmanship and technology, but we are all somewhat different in our design approach. For DIMENSIONE CHI WING LO, it is, due to my direction, the first furniture brand in Italy that fuses seamlessly in every items of its collection the aesthetic of the East and West. 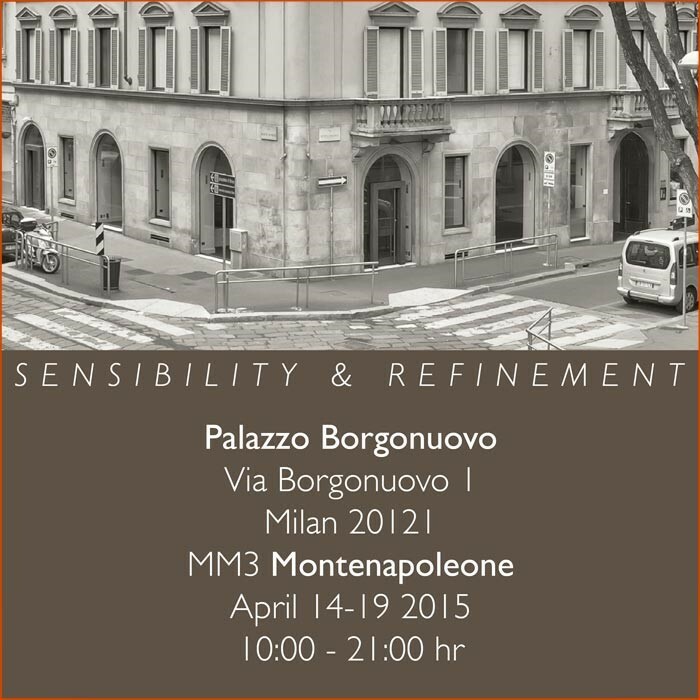 I wish to build a long-lasting collection of furniture and objects that the best of Italian-made are infused with a subtle sense of modesty and serenity in design, that it could be comfortably at home globally across diverse cultural settings and untouched by the ever changing trends of home furnishing today. The brand is a new design voice in Italy that has drawn much attention and recognition, particularly when Italy has orientated its market more and more towards the Far East in recent years. Through this specific role and direction, we have set a new standard and expectation in terms of inventiveness, consistence and meticulousness in every furnishing item we have developed and presented. ACS: The furnishing items of DIMENSIONE CHI WING LO are crafted & engineered by an Italian artisan workshop Maroni, do you think Italy’s ultimate craftsmanship is just what China is most lacking? CWL: Not necessarily. Each country has her own conditions, possibilities and limitations. Italians are very good with their hands, so were the Chinese. Look back at what the Chinese had made wonderfully with wood, stone, metal, fabric, paper… We do not lack excellent examples of our own craftsmanship, we lack the demand, the organization, the encouragement and the education to revitalize our craftsmanship. Most of the factories in China are equipped with the kind of technology and machinery that many Italians may envy, yet we can hardy reach the level of Italian craftsmanship. Here we lack the mentally to strive for the best in everything we do. We had it, just we need to bring it back again with greater determination. ACS: You joined ‘Think Globally · Act Locally’ exhibition by Steve Leung, who is also one of the figures in ACS. Is there a genuine resonance between you two? CWL: Steve is close friend and we grew up in the same era and attended high schools in the same neighborhood at Kowloon. We had also once worked for different prominent architecture offices back then in Hong Kong. He has since built a formidable practice, while I left for America to unlearn myself. With mutual admiration, we got to know each other few years ago in Milan. We share the understanding of the present design culture in China and we have worked together through activities like ‘Think Globally, Act Locally’ to bring new awareness of the importance of design education. Steve and I will continue to collaborate on this and on other fronts. ACS: What are you passionate about besides your work? Are they kind of being related to art & design that may give you unexpected inspiration? CWL: Being alone has become a form of luxury today! And away from art and design as much as possible if one is passionate about them! At that, a poem of Dickinson, a warning from Sun Tzu, the air of a violoncello, moonrise… perhaps. ACS: You are always traveling, which reminds me of the saying ‘If every journey takes us further along in life, then we are truly enjoying what life is offering’. Is it the same for you?